Fiat India is setting out on creating a new growth strategy for itself in India. Fiat Group Automobiles India, as the company is now called, is a 100% subsidiary of Fiat Chrysler Automobiles. While Fiat’s cars have been loved by most, what the customers needed was a deeper reach of service stations and dealerships. Now, Fiat is paying attention to this and has been quite successful at it. In just over a year, the company has set up 108 dealerships with more than 95 workshops across the country. It is expanding its dealership reach further. It plans to open 150 dealerships by December 2014, allowing it to reach out to even more customers and give existing customers easier access to service. 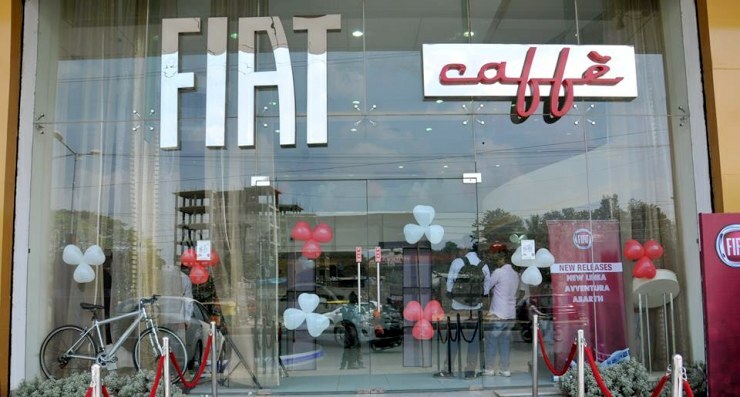 Adding so many dealerships within a year has made Fiat India one of the fastest growing automobile companies in India – and one that has grown significantly during a tough year, when the automobile market in India has been facing a slowdown. According to Mr. Nagesh Basavanhalli, president and managing director, Fiat Chrysler India, Fiat India is adopting a three-pillar growth strategy, focussing on its network, its branding and, of course, its products. Its network expansion is already quite visible. On the branding front, Fiat is now re-introducing its brand to a new lot of customers – those who are buying into the brand for the first time – and who are not too familiar with the Fiat legacy. On the product front, it will be looking at introducing four new products from the Fiat brand this year. The new, refreshed New Fiat Linea is the first of the new products from the Fiat line-up in 2014. The car continues to be great value for money, with even more features and fresh styling than before, while retaining its attributes of good drivability, comfort and rough road ability. Next in the line-up is a refreshed Fiat Punto, followed by the sporty Abarth 500, which will cater to enthusiasts looking for a sporty hatchback, and then the Fiat Avventura, a crossover based on the Punto that will give customers a compact, yet rugged vehicle. All these cars will come with very competitive price tags and provide good value for money. Fiat has a capacity to produce 200,000 cars at its Ranjangaon plant, near Pune. It also has a capacity to make 300,000 engines and transmissions at the plant. In fact, it supplies these engines and transmissions to other companies such as Maruti and Tata for their vehicles. A recent survey by an automobile magazine found that the cost of spare parts for Fiat cars are the cheapest in its segment, even cheaper than brands that were so far seen as affordable. This will give a Fiat customer one of the lowest costs of ownership for a Fiat car. Not just that, Fiat also has one of the largest parts stock rooms in Asia located close to its plant. The company can supply any spare part that is not already available with a dealership, within three days to any part of the country, and this includes spares for its older cars as well. One way to improve a customer’s faith in a brand is to provide a better ownership experience overall and to do that Fiat also offers one of the best warranty covers among all automotive brands in India. Take its warranty cover for the New Fiat Linea for instance. It comes with a standard warranty valid for three years or 100,000 km and one can buy an extended warranty for another two years or 50,000 km more, for a total of five years or 150,000 km of warranty coverage. This ensures total peace of mind for the customer. The company also regularly holds service camps at various dealerships, not just for its present range of cars, but also for earlier models such as the Palio and Uno as well. Fiat has a large central parts warehouse in Pune to ensure that spares are readily available for all its models. Sales of the New Fiat Linea and the Fiat Punto have been steadily climbing over the past six months, when other car brands have seen sales falling. Clearly, the Fiat brand is back stronger and better than before and is here to stay.